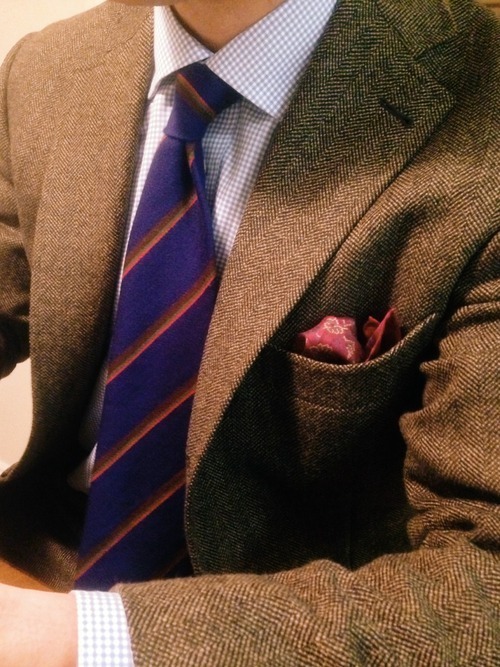 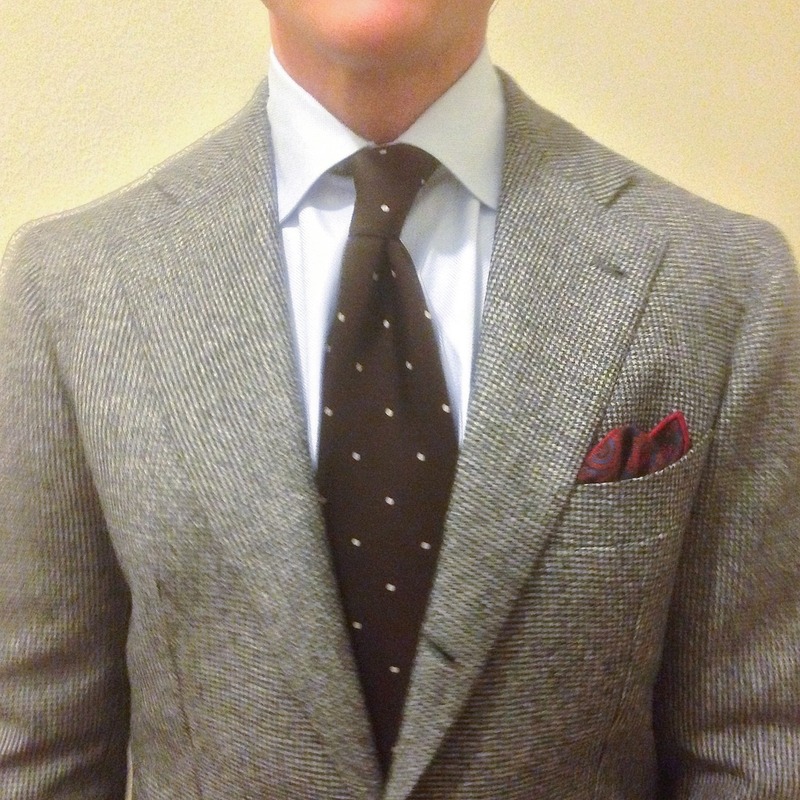 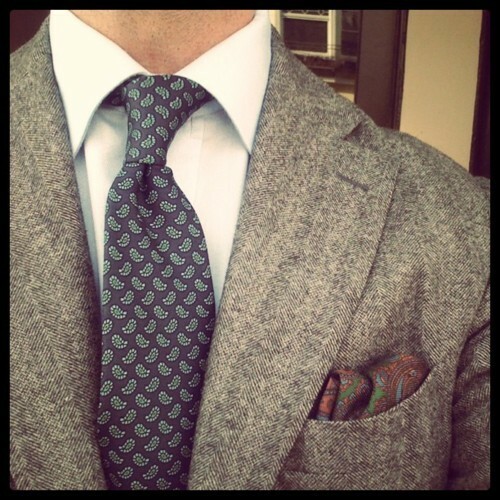 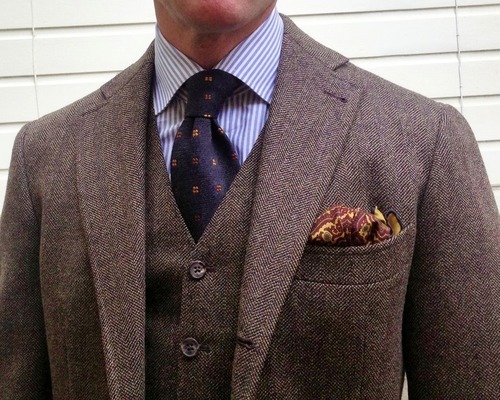 Our friend Peter in San Francisco shows how to wear patterns simply and easily under one simple rule: vary the scale. 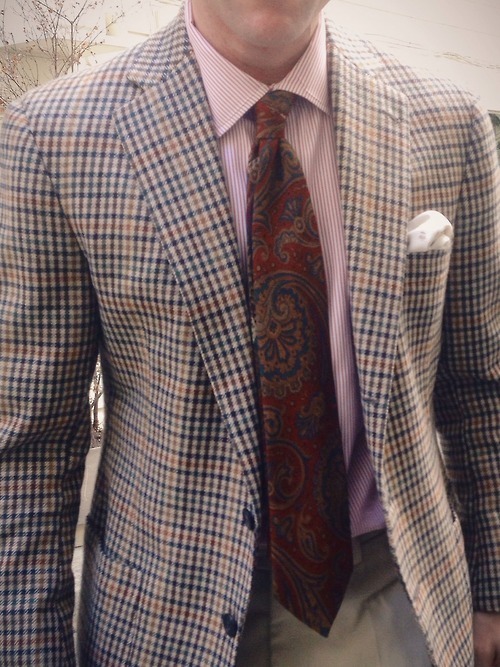 Here, three or four patterns are mixed successfully by just making sure each varies in density. 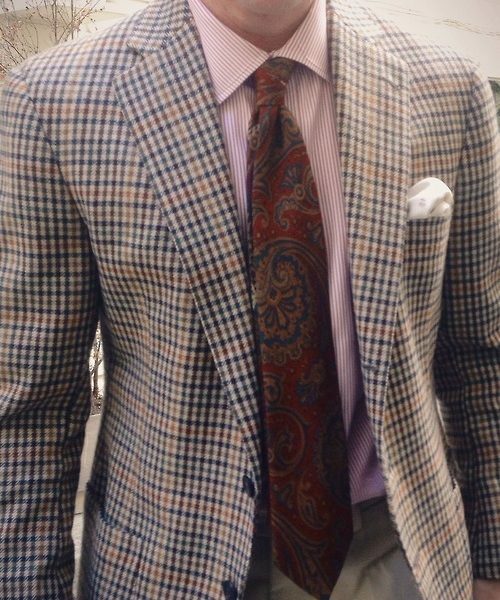 The only exception is the second photo, where the micro-gingham on the checked shirt is in a similar scale as the herringbone on the coat. 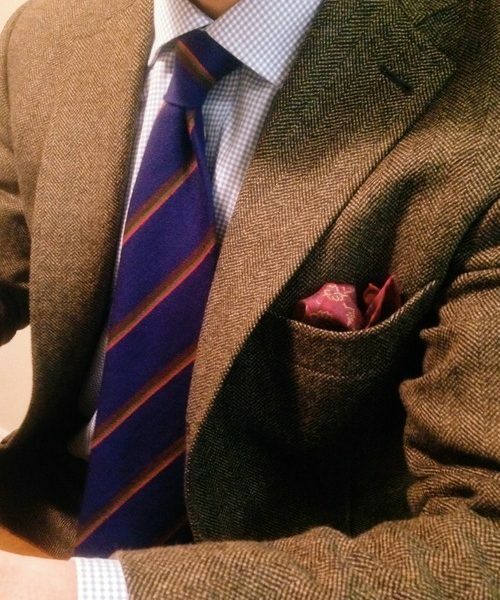 This can sometimes work when the patterns are small enough so they look solid from afar, but even here you can see the combination needs a double striped tie with a large open ground to keep things from looking dizzying.